Do you or your team currently test manually and trying to break into test automation? 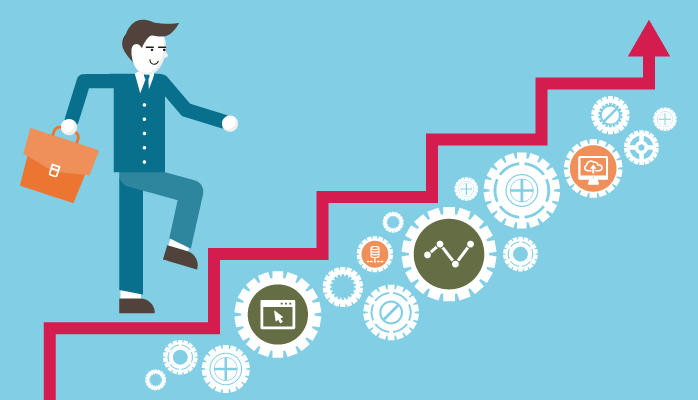 In this article, we outline how can small QA teams make transition from manual to codeless testing to full fledged automated testing. The transition will not happen overnight but can be successfully achieved much easier than anticipated. Your willingness to say no to mundane and boring repetitive manual testing is the first real step towards automated testing! As a team you need to acknowledge that manual testing is haunted by repetitiveness and is error prone. Any team will eventually get bogged down by doing the same thing over and over again impacting team motivation. Some teams will overcome this challenge by automating small bits and pieces of repetitive work. For example, a script to import test data into a database, a utility to generate random test data, etc. Once you acknowledge as a team that you need to move to automated testing, the next step is to know what is stopping your team from making this move. 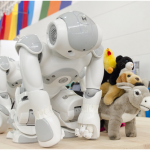 In most cases, it is the fear of complexities involved in automation ie., learning programming. “Can we learn a new programming language and implement a successful test automation project?” are the kind of questions that come to mind. To allay such fears, teams should start small and pick the right tools that suit their testing needs. For example, think before picking a tool that does not work well with iFrames if your application is using iFrames heavily, or start to build out a test automation framework if your team doesn’t have any automation experience, etc. A good beginning is half the job done. It is very important to pick the simple and small test cases when your team is new to automated testing. Pick the test cases that you manually test very often but are easy to test. Simple and small test cases are easy to automate, debug, maintain and reuse. Don’t go crazy with automation and start with most time taking or complex ones first or you will make your beginning harder and reduce your chances of success. For example, start with a simple login test case, creating a user, etc. Making the process easier for your team to adopt is the key to success. It will be easier when you choose combination of tools and frameworks. Yes, you heard it right! It has to be combination of tools. You can no longer rely on one single tool to get success on your test automation. 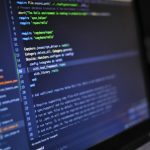 Selenium execution will probably be the foundation as it is the most popular and convenient tool to use with different programming languages. Start with codeless testing tools built on top of Selenium. Codeless testing tools could cover most of your simple to medium complex manual tests. Discover why is codeless test automation better than conventional test automation? Pick up the programming language that your team is most comfortable with. Codeless testing might be able to cover most of your manual testing but for complex steps or tests, you would need to write scripts. Learning is not enough, you should put your learning to practice to understand and write good code. But do not go deep where you cannot stand. Remember as a team, your goal is to ensure quality of the software by automating repetitive manual tests. Your team has to prioritize which tests to automate. 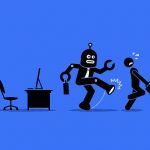 Just because you have this new-found knowledge of automated testing, does not mean it should be applied to everything — in fact, it is impossible to automate all tests, and many things are better off being done manually. Trying to automate complex and less often used tests is a formula for failure and is not worth your team’s effort. Here is where your manual and exploratory testing skills should be put to use whenever a new feature is released. Run risk analysis to determine parts of your application that should be automated. In addition you will have to pay attention to details like if your application is web based, you will want to create a list of the browsers and devices that are going to be essential to your particular test suite. Just like, as manual testers, you refuse to be content with failing tests, you should not tolerate automated tests that pass at times and fail at other times. Unreliable tests will lose your team’s confidence and is a stepping stone for failure. As an example, if there is a failure in the initial steps of a lengthy test case, you can not be sure if there’s no bug beyond that step. Such uncertainties will be bad for team morale and make the whole automation effort less fruitful. Successful outcomes for any project are guaranteed by a collaborative team. It is no different for test automation. All your team’s automated tests have to be in a single repository accessible anytime & anywhere. A change log indicating who made change to which test case for traceability and accountability should always exist. The tool you pick should allow for collaboration and also make it easier to categorize, tag, sort and filter the 100’s of tests that you would have created over time. Automated testing might seem daunting when you start, but all it really takes is a consistent effort to make it a success. Continuous learning and practice using your resources will help. Take comfort in knowing that even the experts don’t know it all. No matter how good an automation engineer you become, there’s always more to learn. SaaS or Software as a Service model is increasingly becoming popular. Thanks to its features like – quick deployment, reduced dependency on internal systems, an increase in availability, reliability of resource and most importantly low upfront costs, it serves as the best choice. However, looking at the flip side, the companies are under immense pressure to release new features at a fast pace. Adapting agile methodology for development and testing has helped the businesses, but has also come with the challenges – the need to deliver quality software. So, what could be done? How can you assure the quality of the software yet make a quick delivery? Setup could be achieved within minutes. Execution of test cases is possible from any location, anytime. Ability to test live site without interfering with users workflow. Defining the downtime and availability of the application. Scaling the users depending upon the usage/market requirement. Provides a clear data on response time, reliability, resource usage and scalability of the software under various condition. Continuous monitoring of logs and database to detect unauthorized access. Testing the accessibility of data. Defines levels of data access. Ensuring compatibility, security, and performance of API’s when they handshake with other third-party application. Certifies the compatibility with different browsers and the minimum version it would run successfully. It assists in certifying the browsers, the SaaS product is compatible and the required version is supported. The most basic test automation approach offers convenience, low implementation cost and easy to be deployed. However, it does not provide flexibility and maintaining a record and play tool when manual intervention is required could be a costly affair in the long run. The approach is best suited when a significant amount of data is to be tested under different combinations. It involves some scripting, and hence team should be skilled enough to check data output under various conditions. A testing approach that could be expanded to various platforms, applications and environments. It suits for large/small data sets and projects of long/short duration. However initial implementation cost is one of the major pitfalls of this approach. 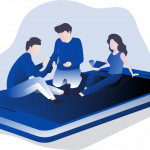 The most sophisticated test approach that is long-lasting, flexible, provides you with ample checkpoints, sustainable and comes with an ability to integrate with external objects. But again, the initial implementation cost is enormous, and during initial months you may not witness a positive ROI. 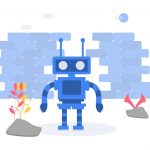 Hybrid keyword approach is a long-term test automation strategy and may not be the right choice for short-lived and straightforward projects. Make sure to set aside resources and time to measure the performance of the SaaS application. Get a clear understanding of the requirement and “How it needs to be tested.” Just for example does SaaS product needs integration with any other application? Or Would it work under different environments? Set an estimate to your test automation efforts. Just for example once you guys have decided on the approach, how much time do you think it would need to write one test script? How much time does it need to execute it? It would help in comparing the estimated and actual efforts, thereby re-aligning your test strategy and leading to a higher ROI. The user base is quite crucial for a SaaS application, hence make sure to have room to scale up in case it is needed. Set up a plan for disaster recovery to ensure your users are not in a hung state in case of discontinuance of service. Ensure Reliability testing in your release cycle for smooth deployment of code onto live site. While founders know, the prime motive of building a SaaS application is that it is customer focussed. Have you thought they are also getting the quality? SaaS testing is a comprehensive test solution that includes Functional, Security, Load, Performance, Cross-Browser, and compliance testing. 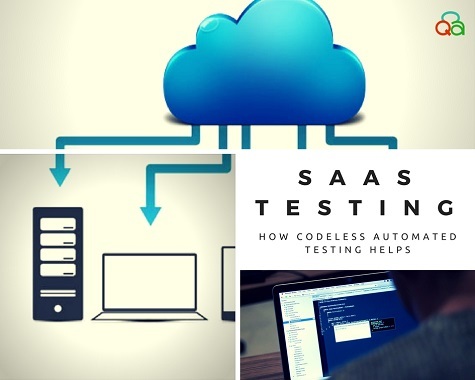 Codeless Test Automation of SaaS test scripts shortens the test cycle helping in frequent upgrades and release of SaaS application.